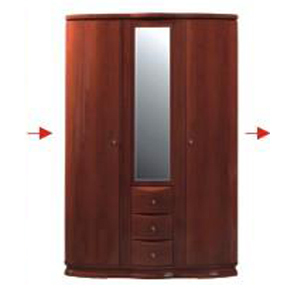 High Gloss Cherry Finish 2 Door Wardrobe With Mirror With Bar Shelf. Easy to assemble. Strong construction.